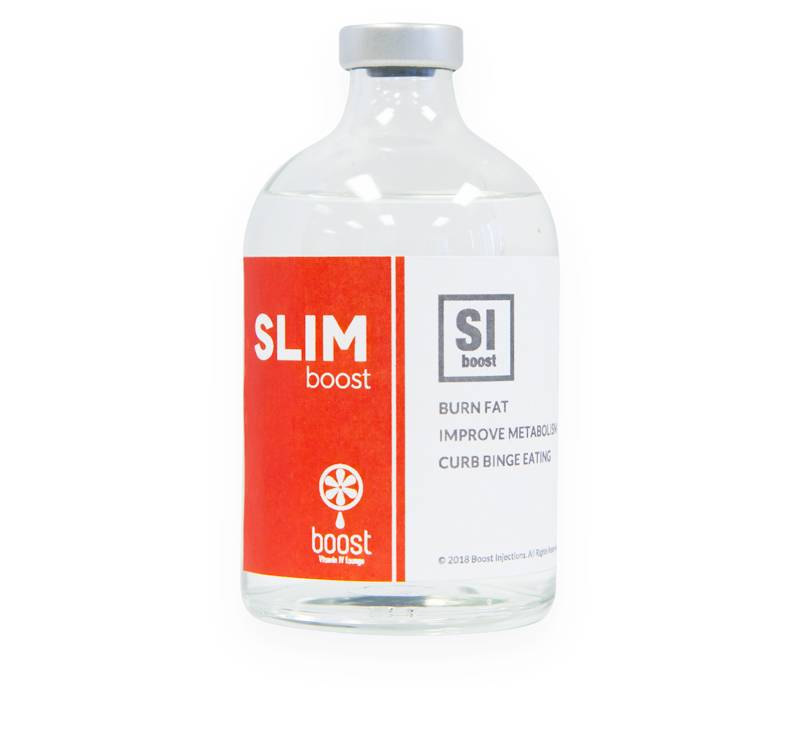 The Slim Boost is a vitamin and nutrient IM injection crafted to help with weight loss and works by releasing fat throughout your body, targeting primary fatty deposits. Packed with fat burning substances, the Slim Boost helps your liver remove fat while aiding in the breakdown of fatty tissues. The Slim Boost was designed for clients who want to shed those last few stubborn pounds. How Does the Slim Boost IM Injection Work? The key ingredients of our Slim Booster IM injection are Methionine, Inositol, Choline, and Vitamin B12. They are all major factors that make your metabolism faster. This results in your ability to gain better control over your weight and discover a slimmer you.